In recent years there has been a resurgence of interest in studying infectious diseases, especially given the alarming increase in the numbers of emerging diseases now confronting medical and veterinary science. 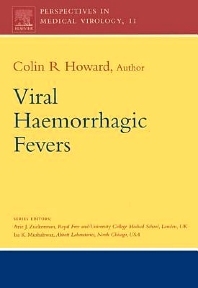 Viral Haemorrhagic Fevers describes the progress in research and our understanding of these agents against a backdrop of continuing fear these viruses engender among health care workers and the public alike. It discusses how the study of these viral agents is directly applicable to other emerging diseases, particularly in relation to how containing these outbreaks requires a high degree of collaboration between different specialists. Primarily aimed at healthcare workers, clinicians and microbiologists, this book provides a rapid overview as to the nature of these widely varying agents linked only by their propensity of causing serious human disease.